The Ride Janie Ride Foundation would like to introduce to you two very special people. We have been blessed to meet Ava Triana and Carter McCann. They both have been diagnosed with various types of cancer. It is our honor to have them as part of the Ride Janie Ride family and we take great pride in announcing that Ava and Carter will be the recipients for Ride Janie Ride 2018. Continue scrolling to read each of their biographies. Ride Janie Ride Foundation would like to thank all of those who nominated individuals. We will not forget any of the nominees and hope that they may be a part of Ride Janie Ride for 2019. Ava was born on June 8, 2015. That was the best day of our lives! This tiny human we looked forward to for 9 months finally had a face, a touch and a smile. Even after Ava (and our whole family) was diagnosed with Stage 4 high risk Neuroblastoma on September 12, 2017, that smile never went away. The doctors found cancer in her lymph nodes, liver, all of her bones and bone marrow. 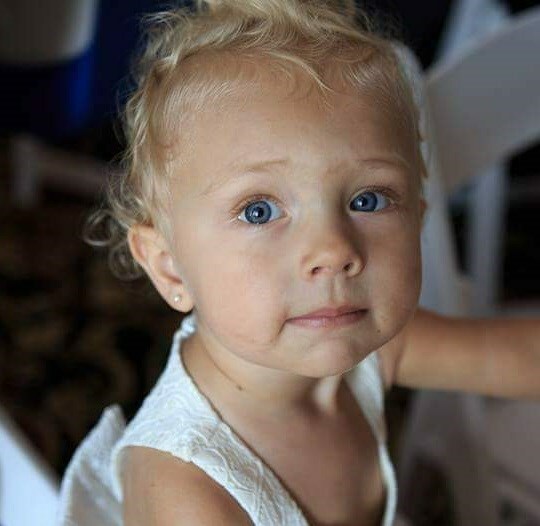 Ava was given a 45% survival rate. As you can imagine, our hearts were broken and still are to date. Ava will need months of chemo therapy, two stem cell transplants, resection surgery, months of radiation, months of immunotherapy and, by the grace of God she reaches remission, she will have a lifetime of scans and maintenance. Ava is such a light in our lives, she can honestly light up any room! She truly makes the darkest days bright. She is spunky and sassy but, also kind and loving. Her favorite song is You're Holy by Florida Georgia Line which she sings loud and proud! The words really touch our souls…"you're an angel…tell me you're never leaving…'cause you're the best thing I know and I can believe in..you're holy". We are so proud of her for being so strong and a true fighter every day. We will fight by her side as long as it takes to get our baby girl healthy. We have been blessed with so many wonderful people who have touched our lives. With the love, prayers and support of friends, family and our community, along with love from Ava, we will get through this difficult time in our lives. November 3rd, 2012 Carter turned three! Three days later, on the 6th, Carter started limping, gradually stopped walking and was brought into the hospital on November 10th. Some tests were run and the verdict was a septic joint in his left ankle. He was taken into surgery at our local children's hospital the next morning and had his ankle joint aspirated. He was given a PICC line and had an aggressive antibiotic regimen started. Over the next 6 weeks, Carter began to improve and start walking again. He was given a clean bill of health and had his PICC line taken out shortly thereafter. The night of January 8th Carter stopped walking again and worried that the infection had returned we rushed him back to the hospital. This time we were relieved to find out he had just broken a bone in his foot. They attributed this to the swelling from the infection and gave him a cast and sent us on our way. The next week Carter's right ankle started to give him pain and started to swell. Worried that the infection had spread to a different joint we took him to the children's hospital downtown to see if we could get a second opinion. They gave him pain medicine and worried that he may have Rheumatoid Arthritis and gave us a referral to see their Rheumatologist. They did not have any appointments available for the next 8 weeks. We took the appointment and went home feeling unsatisfied. Within the week multiple joints started to swell. He was still in a cast and not walking but now with the loss of ambulation in his hands and we took him back to the children's hospital downtown. They admitted him under the care of a Rheumatologist who ran a plethora of tests, scans, and assorted biopsies. His Talus had healed and he was able to have his cast removed even though he was not walking yet. Within the week Carter was given a cocktail of medications… (I wouldn’t even call that because it was more like a meal). Within a week, we had gotten all of the results of his tests. Nothing! They could not find anything. He didn’t have any of the cancers they had screened him for. He did not have any known rheumatological conditions, nor did he have any blood disorders. We were left without answers. They continued to treat him with steroids and anti-inflammatory medicines because that is what seemed to work at the time. Over the next few months, we were in and out of the hospital every few weeks. After 12 weeks of weekly IV steroids, they attempted a low dose of chemo called Methotrexate. He stayed out of inpatient for almost a year but still had brief flare-ups that would land us in the hospital now and again. On June 25th, 2014 one of those flares landed us inpatient where they started him on a new medication, called Remicade. After discharge, his next dose was July 23rd. It is standard that blood work is drawn when this specific medicine is given to monitoring any possible side effects. July 24th we received a call that we needed to bring Carter back into the hospital because they had seen some abnormal white blood cells in his lab work. Once at the hospital they redrew his labs to make sure that it was not a mistake. The lab work showed leukemia blasts. Specifically ALL (Acute Lymphocytic Leukemia). Currently, Carter is in remission. 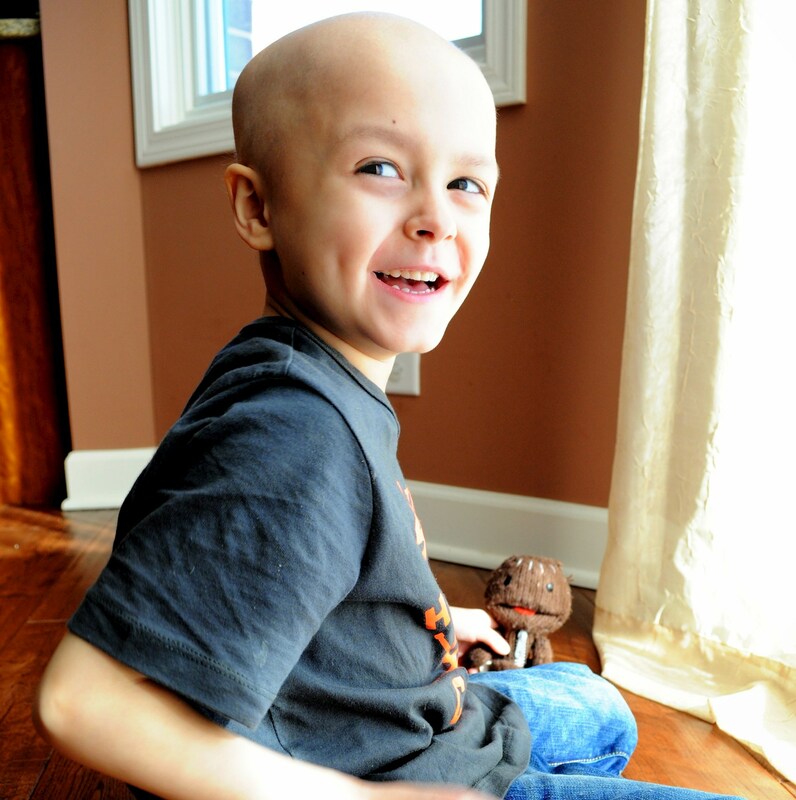 The last time they checked his bone marrow he was considered NED (No Evidence of Disease). We're phasing out of chemo treatment right now, but with the past, (almost 4 years of this) we've got some adjusting to do. The side effects will continue to follow him for months if not years to come.